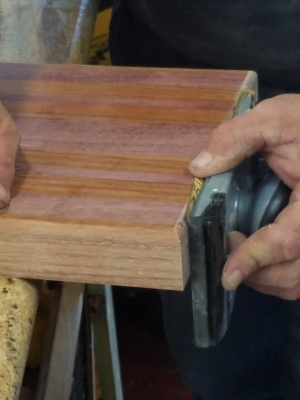 All Butcher Blocks are hand made to your specifications, including wood type and size. 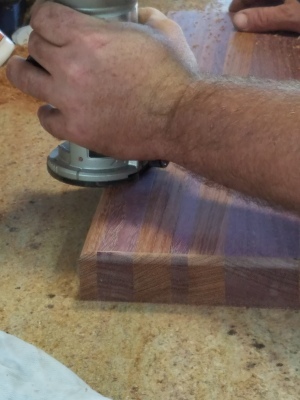 Each Butcher's Block is designed individually. The pieces of wood chosen are laid out in the order that is chosen to assure visual appearance. 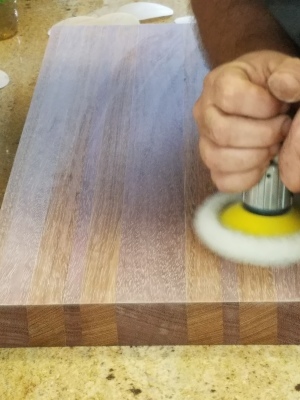 After using various different sanding methods and grits to give the board a smooth flawless finish, the board is then buffed for a natural shine. After the design is complete. 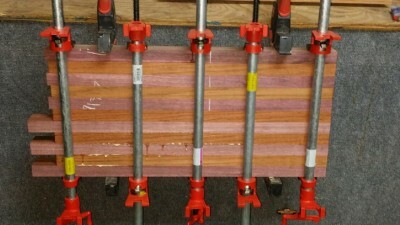 The wood is then clamped and glued together. This ensures a seamless transition between your chosen wood colors and a sturdy build for all applications. After the glue is fully cured, the board is then planed and cut to size. Using a router the edges of the board are smoothed. 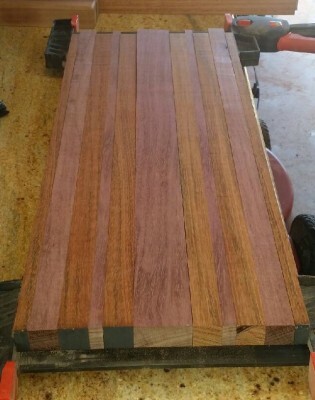 After being cut to size and planed the board is then sanded. First being sanded by hand then by machine. Finally the board is ready to be waxed. 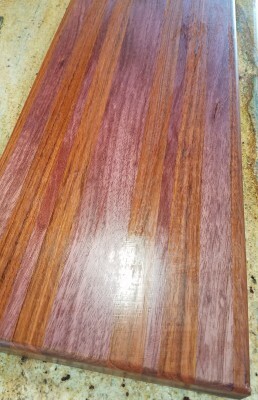 After the edges are smoothed and the finishing touches are completed, several coats of wax and oil are coated to the board. This coating seals in the board and makes it ready for food preparation at your home. Using products that are approved by the FDA makes this board the perfect addition to your kitchen.